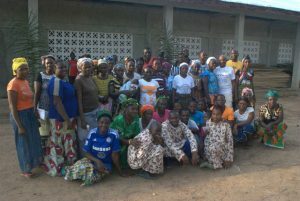 I am Eric AKA, sma based in Foya, Diocese of Gbarnga, Liberia. Foya is located in Lofa County. Liberia has fifteen counties and Lofa is known as th e food basket of the country. People are merely subsistence rice farmers. The Luman, Bendi, Mende, Pele and Kissi are the main ethnic groups present in Lofa County. Christianity, Islam and African Tradition Religion are intermingling among the people without any conflict. Foya District is the most populated district in Lofa County. Indeed it has 35% of the population and is dominated by the Kissi, an ethnic group that is also found in Guinea and Sierra Leone. It is among these people that I was sent to take part in the work of evangelisation and the development of the area. I would like to share with you my joy of living there. Jesus said in Mk 10:28-31 “(…) Amen, I say to you, there is no one who has given up house or brothers or sisters or mother or father or children or lands for my sake and for the sake of the Gospel who will not receive a hundred times more now in this present age: houses and brothers and sisters and mothers and children and lands, with persecutions, and eternal life in the age to come (…)” I have been experiencing these words of Jesus since I got to Foya. On 21st December, 2013, when I was taking up the new appointment in Foya, I had only a tent as a Rectory because there was no money to rent a temporary house. The dynamism of the parishioners who had been longing to have a resident priest since 1990 changed the tent into a 3 bed room solid house in 2016. Moreover, our parish that had 4 outstations at my arrival has now 12 and many people from other villages have expressed their desire to be Catholic. 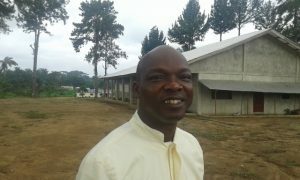 In 2014/2015 with the help of benefactors the parishioners built a huge church of 700 seats in gratitude to God for saving their lives during the 14 years of civil war that destroyed Liberia. Our parish has now 250 members with almost 150 children. The future of these children and other children in the district being one of our major concerns, the parish has put more emphasis on Education. We have established a Catholic Elementary school in order to contribute to the education of the children. Our aim is to build a High School in the future. My joy comes from the commitment of our people to work together to achieve the necessary needs. Knowing that they are all subsistence rice farmers with lit tle financial income, they realise that working together will enable them to improve upon their daily life faster. It is in this perspective that projects are planned and executed together. Being in a rural and remote set up, the parish is also involved in humanitarian activities such as assisting the aged persons and widows, supporting the physically challenged youth to be self-reliant and sponsoring the education of some orphan children. Indeed the outbreak of Ebola pandemic left behind a lot of widows and orphans. Foya District had about 300 orphan children and 50 widows in 2014. After assisting families in feeding some widows and 103 orphan children for 10 months, the parish is involved in finding funds to sponsor the education of 50 children. Besides that, Foya has 45 youth with physical disability. Most of them learnt some basic skill. The parish is helping them to be on their own in order to be self-reliant. Despite my joy of being at the service of the people in Foya and seeing some positive changes, I am also facing some challenges. The first challenge is the inability to respond to the request of people desiring to be Catholic in various villages. We don’t have enough trained persons that can help us in teaching the Catholic doctrine in those villages. It costs us $200 USD per month to send to those places some youth from our mother Church to teach the Catholic doctrine. The parish cannot afford it for a whole year. Besides that, the roads are so bad most of the time that motorcycle is the best means to reach out to these places. As a missionary it is painful to see that people’s thirst for the Gospel cannot be quenched because of lack of adequate transportation and trained personnel. three motorcycles (at the rate of $1,000 each) will be enough to reach out to them. We plan to have a quarterly training workshop for community leaders to enable them to teach the Catholic doctrine. The second challenge is to strengthen the Education of the children in our Catholic Elementary school through building up of the staff. Our school provides an education not only for the local children, but their families as well. There is a need to build up the capacity of the teachers every year to be able to meet up to expectation. Some workshops need to be organised in that matter. The third challenge is to send to school as many under privileged children as possible. Until now the enrolment in our Elementary school is very low; about 170 students. Many families, despite their good will, cannot afford $150 USD as the school fee s for their children because of their being subsistence rice farmers. Besides that, the Government schools are overcrowded. These families need to be assisted in sending their children to the Catholic School. By providing good and solid education for these children we will be contributing to building up of the future leaders of this country. 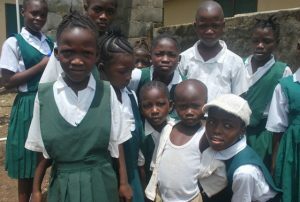 As a missionary I have to make sure that many of these under privileged children will have access to better education. I give thanks to God for the mission entrusted to me in Foya. I left my country, home, brothers and sisters, etc. and he has given me another country, homes, brothers and sisters. Together we are making the journey of life. Through our commitment God has been making His marvellous deeds felt in the lives of our people. Though I need some serious help to be able to face the challenges in the mission, I will be always grateful to God and the people of good will who have been supporting me. As the psalmist put it “Those who sow in tears will in reap in joy”. Let us all be part of the people who impact positively the life of others.